FEB 12 (WTN) – Familyism is not new in the Indian politics; dynasty politics and familyism can be seen in almost every political party of the country. If we talk about Madhya Pradesh, so the tradition of familyism is quite old here. As you know that there is only some time left for the Lok Sabha elections, in this case, leaders of all the political parties are in the effort to get tickets for them, otherwise they want to get ticket for their family member. As you know, in the recent assembly elections held in Madhya Pradesh, former Chief Minister Babulal Gaur succeeded in getting ticket for his daughter-in-law Krishna Gaur. At the same time, it is being said that the wives of many veteran leaders of the state can contest in the Lok Sabha elections. According to the information, former Chief Minister of Madhya Pradesh and veteran BJP leader Shivraj Singh Chauhan's wife Sadhana Singh can contest from Vidisha seat; whereas Amrita Singh, who is the wife of former Chief Minister and senior Congress leader Digvijay Singh, can contest from Rajgarh Lok Sabha seat, while Congress national general secretary Jyotiraditya Scindia's wife Priyadarshini Raje can contest from Guna seat. For the victory in the 2019 Lok Sabha election, both the BJP and the Congress are working under their own strategy. 29 Lok Sabha seats of Madhya Pradesh have considerable significance to form government in the Delhi. In the last Lok Sabha elections held in 2914, the BJP had won 27 out of the 29 seats in the state. In the Lok Sabha elections this time, both the BJP and the Congress want to give ticket to those candidates who can win easily. It is discussed in such a way that the wives of these three veteran leaders of Madhya Pradesh politics can contest elections. Political analysts say that Vidisha is said to be the political stronghold of Shivraj Singh Chauhan, as well Rajgarh is considered the stronghold of Digvijay Singh. As you know Guna is said to be a safe seat for Jyotiraditya Scindia. If the wives of these leaders get tickets, then they will not have to face any kind of trouble in winning. It is being said that after the Union Minister Sushma Swaraj’s refusal of contesting from Vidisha Parliamentary seat, there is a discussion that Shivraj Singh Chauhan or his wife Sadhana Singh may contest from this seat. But Shivraj Singh Chauhan is the star campaigner of BJP, in which the party does not want to keep him in limit to Vidisha by contesting him from Vidisha seat. For your information, let you know that the BJP has been occupying Vidisha Lok Sabha seat since 1989. In such a safe seat, BJP can give tickets to Shivraj Singh Chauhan's wife Sadhana Singh. At the same time, the debate about contesting the elections of Digvijay Singh's wife Amrita Singh is in full swing. It is being said that Amrita Singh can contest from Rajgarh parliamentary seat which is said to be the traditional seat of the Digvijay Singh family. 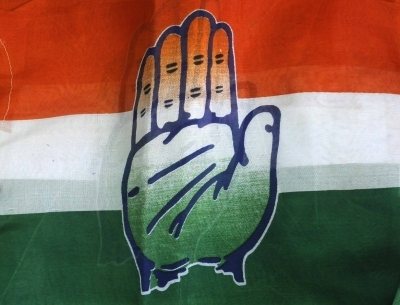 In the recently concluded Madhya Pradesh assembly elections, Congress has won the five Assembly seats in this parliamentary constituency, it is being said that this seat is one of the safest seat for the Congress. For your information, let you know that Amrita Singh has been active with her husband Digvijay Singh for a long time in religious and social work, in such a way that Amrita Singh can contest elections from Rajgarh seat and can continue her husband's politics. At the same time, there are also discussions about contesting in the elections of Priyadarshini Raje Scindia, wife of Union Minister and MP Jyotiraditya Scindia, from Guna seat. Guna Congress leaders have sent a proposal of Priyadarshini Raje’s contesting from Guna seat to Delhi. While nowadays the activism of Priyadarshini Raje is also seen in the area. There is speculation on the political corridors these days that Jyotiraditya Scindia will remain busy in the UP after getting the responsibility of the Western UP for Lok Sabha elections, in such a way Priyadarshini Raje, wife of Jyotiraditya Scindia, can contest from the traditional seat of the Scindia family. Now the top leadership of the Congress and the BJP will decide whether the wives of veteran leaders should be given ticket for the Lok Sabha elections or not. But if the wives of Shivraj Singh Chauhan, Digvijay Singh and Jyotiraditya Scindia get tickets, then this would be another example of familyism in Indian politics. Seeing the politics of these three leaders and their hold in their parliamentary constituency, it can be said that after getting the tickets, the wives of these three leaders will not have any problem in winning the elections. But what the Indian voters decide, no one knows.